CALGARY, ALBERTA--(Marketwired - March 26, 2015) - To complement its suite of Loner® employee safety monitoring solutions, Blackline GPS ("Blackline") (TSX VENTURE:BLN), a leading manufacturer of connected safety products, launched a new, in-house 24/7/365 Safety Operations Center. Now monitoring over 2,000 lone workers across Canada, this service manages an immediate emergency response to the precise location of an employee in distress. "During a safety incident, the employee's outcome depends upon the quality of emergency response management," said Kevin Meyers, Blackline's COO. "Blackline is in the best position to provide this capability as we already design, manufacture, and deliver service for leading safety monitoring solutions. This logical step forward is part of Blackline's program to better serve customers by expanding our suite of services." Traditional call centers that monitor employee safety often also provide answering services, telemarketing, IT help desk, and technical support. Blackline's Safety Operations Center is exclusively focused upon employee safety monitoring, staffed by professionally trained monitoring agents who also offer expert product knowledge. With 24/7/365 availability, safety alerts are managed from receipt through to resolution by following a customer's unique emergency response protocol. Unlike many other players in this space, Blackline is able to direct local emergency responders to the employee's location by accessing the network of 9-1-1 services across Canada. 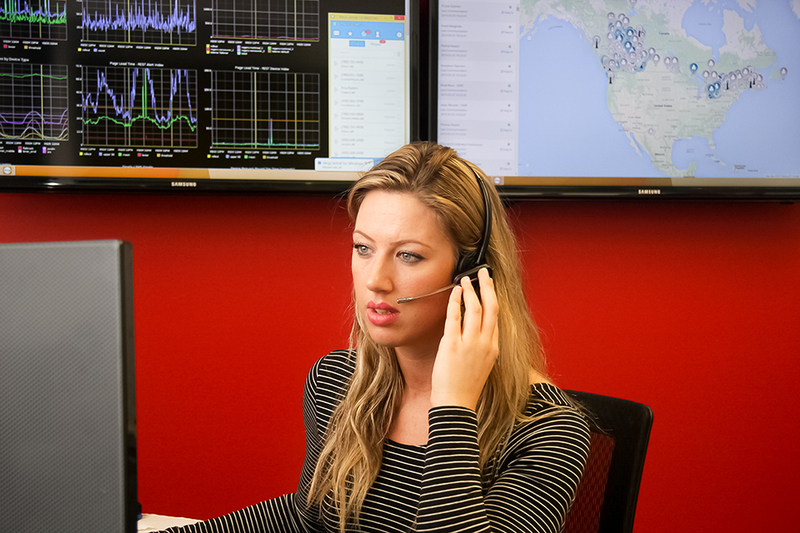 The Blackline Safety Operations Center incorporates state-of-the-art infrastructure including redundancy of power supply, communications, computing, and other services. Safety alerts are responded to in an efficient manner and all calls are recorded for quality assurance. In order to provide comprehensive monitoring services to customers, Blackline is able to respond to situations with real-time translation of over 200 languages. Blackline's broad Loner safety monitoring portfolio empowers organizations in all industries and geographic locations with real-time safety incident awareness to deliver help within minutes instead of hours or days later. Blackline's technology can make the difference to an employee's outcome by directing an immediate response to the individual's precise location. To learn more about Blackline's safety solutions, visit www.blacklinesafety.com and follow Blackline on Twitter @blacklinegps.